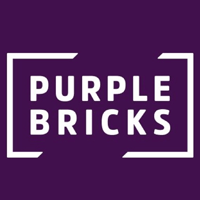 Shares of Purplebricks Group PLC with ticker code: LON:PURP has climbed 5.95% or 8.8 points in today’s trading session so far. Buyers have remained optimistic throughout the trading session. The high for the period has peaked at 158.5 dropping as low as 145.42. The total volume of shares traded by this point was 979,769 whilst the average number of shares exchanged is 579,814. The 52 week high for the share price is 499.6 which comes in at 351.6 points difference from the previous close and the 52 week low at 145.42 is a variance of 2.58 points. Purplebricks Group PLC now has a 20 simple moving average of 178.79 and now a 50 day SMA of 197.36. The market capitalisation currently stands at £474.84m at the time of this report. All share prices mentioned for this stock are traded in GBX. Mcap is measured in GBP. This article was written with the last trade for Purplebricks Group PLC being recorded at Wednesday, December 12, 2018 at 12:02:14 PM GMT with the stock price trading at 156.8 GBX. The trading price for Informa PLC EPIC code: LON:INF has risen 1.43% or 9.4 points throughout the session so far. Buyers seem confident throughout the trading session. The periods high has reached 665.2 dropping as low as 654.6. The total volume traded so far comes to 474,730 with the daily average number around 4,257,908. The 52 week high for the share price is 869.6 some 214 points different to the previous business close and a 52 week low sitting at 646.8 making a difference of 8.80 points. Informa PLC has a 20 SMA of 714.99 and also a 50 day SMA of 724.13. This puts the market cap at £8,323.32m at the time of this report. The share price is in GBX. Mcap is measured in GBP. This article was written with the last trade for Informa PLC being recorded at Wednesday, December 12, 2018 at 12:02:24 PM GMT with the stock price trading at 665 GBX. Stock in INTERCONTINENTAL HOTELS GROUP Common Stock with ticker code: LON:IHG has risen 1.07% or 45 points in today’s trading session so far. Traders have remained positive throughout the trading session. The period high was 4255 and hitting a low of 4179. The total volume traded so far comes to 97,338 while the average shares exchanged is 661,637. The 52 week high for the shares is 5050 some 849 points difference from the previous days close and the 52 week low at 3850 making a difference of 351 points. INTERCONTINENTAL HOTELS GROUP Common Stock has a 20 SMA of 4248.9 and the 50 day moving average now of 4240.3. The current market cap is £8,095.85m at the time of this report. The share price is in GBX. Mcap is measured in GBP. This article was written with the last trade for INTERCONTINENTAL HOTELS GROUP Common Stock being recorded at Wednesday, December 12, 2018 at 12:02:22 PM GMT with the stock price trading at 4246 GBX. The share price for International Consolidated Airlns Grp SA company symbol: LON:IAG has moved up 1.47% or 8.8 points during today’s session so far. Traders have remained optimistic during the session. Range high for the period has seen 609.2 while the low for the session was 594.2. The amount of shares exchanged has so far reached 1,122,751 with the daily average at 8,072,516. A 52 week share price high is 727 which comes in at 128.8 points difference from the previous close and the 52 week low at 547 a difference of some 51.2 points. International Consolidated Airlns Grp SA has a 20 SMA of 639.12 and a 50 day simple moving average now at 621.67. The market cap now stands at £12,042.66m at the time of this report. The share price is in GBX. Mcap is measured in GBP. This article was written with the last trade for International Consolidated Airlns Grp SA being recorded at Wednesday, December 12, 2018 at 12:02:39 PM GMT with the stock price trading at 607 GBX. 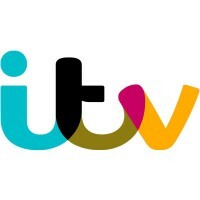 Shares in ITV plc with EPIC code: LON:ITV has climbed 2.09% or 2.7 points in today’s trading session so far. Traders have stayed positive during this period. The periods high figure was 131.95 and hitting a low of 126.75. The total volume of shares exchanged through this period comes to 5,554,031 with the daily average number around 18,851,164. A 52 week high for the stock is 183.1 some 54.2 points in difference to the previous days close of business and a 52 week low sitting at 124.5 a difference of some 4.40 points. ITV plc has a 20 SMA of 147.81 and a 50 day SMA of 152.71. The market capitalisation is now £5,299.45m at the time of this report. The stock is traded in GBX. Mcap is measured in GBP. This article was written with the last trade for ITV plc being recorded at Wednesday, December 12, 2018 at 12:02:28 PM GMT with the stock price trading at 131.6 GBX. 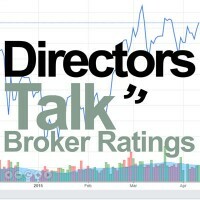 Stock in Johnson Matthey PLC company symbol: LON:JMAT has stepped up 1.89% or 51 points in today’s trading session so far. Investors have remained positive while the stock has been in play. The periods high has reached 2757 dropping as low as 2673. The amount of shares exchanged has so far reached 331,189 while the daily average number of shares exchanged is 833,172. A 52 week share price high is 3873 equating to 1181 points in difference on the previous days close and a 52 week low being 2574 which is a variance of 118 points. Johnson Matthey PLC now has a 20 SMA of 2964.5 and a 50 day simple moving average now at 3045.42. Market capitalisation for the company is £5,310.56m at the time of this report. Share price is traded in GBX. Mcap is measured in GBP. This article was written with the last trade for Johnson Matthey PLC being recorded at Wednesday, December 12, 2018 at 12:02:30 PM GMT with the stock price trading at 2743 GBX. Click IAG IHG INF ITV JMAT PURP for the full archive.